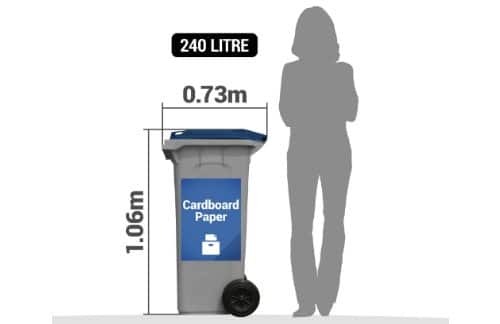 Silhouette shown of female figure 1.65cm high (the Australian average). Collection and disposal of 660 litre paper and cardboard bin. 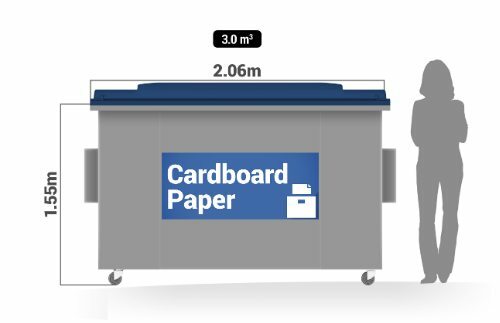 0.66 cubic metre size. 4 wheeled plastic bin on four wheels. 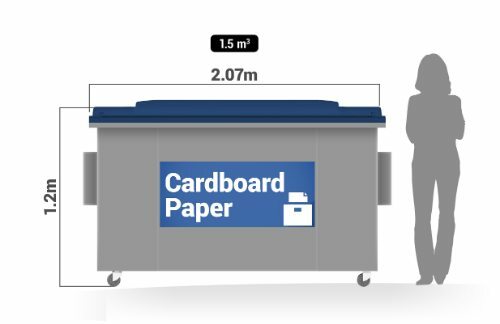 Suitable for larger cardboard boxes. 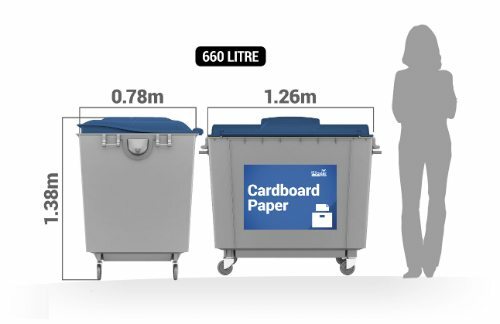 Collection and disposal of 660 litre paper and cardboard bin.